Keto newbie mistakes are easy to make, but keeping a few things in mind can help you stay on track. The delicious posts all around the Internet point to seemingly endless bacon burgers and all the jalapeno poppers you could ever want as the perfect and ideal solution to extreme weight loss. The reality is that just like any other lifestyle, Keto requires balance. Following a ketogenic, or even low carb diet, requires a lot of patience and learning. You’ll make mistakes at first, but you will soon learn what works for your body and find your own balance. These are are most common mistakes I made when I first started and what you can do to avoid them. I began measuring my food, roughly, using measuring cups and figured I was doing pretty well. I cook often so I’m used to eye-balling amounts here and there. When I was adding up my calories at the end of the day things looked good, but my inches and the scale weren’t making sense. I headed to Walmart and picked up a cheap little red digital scale for around $10 and… woah! I had been measuring, cheese for example by ¼ cup measuring cups, I started measuring in grams and definitely noticed a different. Now, this wasn’t crazy huge but 20 or 50 calories here and there can make a big difference. Soon my weight loss was back on track. There are many wonderful things Keto has done for me, one of which is completely change my relationship with food. The first week or two of cravings can be tough. Just seeing food makes my mouth water sometimes, but I learned very early that my body isn’t craving anymore, it’s just that sugar wired part of my brain. For this reason, when I started low carb, I didn’t use replacement sweeteners for while. 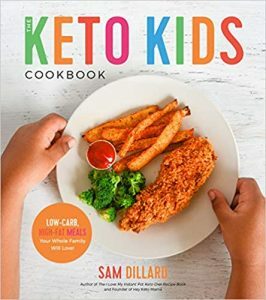 Sure brownies, cookies, chocolate all the good stuff can be Keto-friendly in the right form. Giving yourself time to learn what your body needs, truly, and totally overhauling the relationship you have with food can be very rewarding. I totally get that this method isn’t for some people, it’s hard to change so many things at once. I found success in not immediately trying to replace all those treats that got me into a less than ideal health situation. I turned my focus to improving my relationship with food that nourishes and treats my body well. 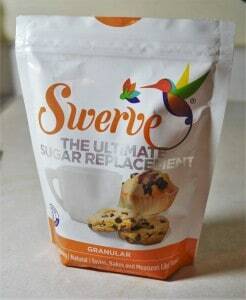 I do enjoy some sweets now with the help of Swerve but probably only a couple times a month. 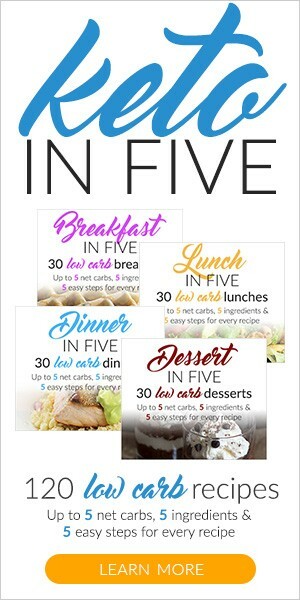 The first week of Keto is very exciting for many. The initial water weight drop is pretty good encouragement and after a week you’ve likely conquered carb/sugar withdrawals and feel great. The weight tends to steady off after a week and then-boom. “I’ve stalled. What am I doing wrong?” Nothing! My first week I dropped like 8 pounds of water weight, then steady 4-6 for a couple weeks and then it just stopped. I was exercising, tracking food, feeling great, but not losing weight. It’s very normal for this to happen. Unless you haven’t lost weight for about a month, you’re like not stalled. The body is complex and these things take time. Keto is a tool, but at the end of the day calories in and calories out matter very much. Sometimes a big loss can come surprise you after a small plateau. Don’t jump to adjust your food or think you need to double up on gym time if your routines already look good… just be patient. I recommend giving the scale less attention and taking your measurements. These numbers can be very encouraging when the scale doesn’t move for a little while and be a source of affirmation that your favorite jeans really ARE getting loser. At the end of the day, it’s important to do your research and trust the process. Whether you’re keto/lchf or another eating style, progress takes time. 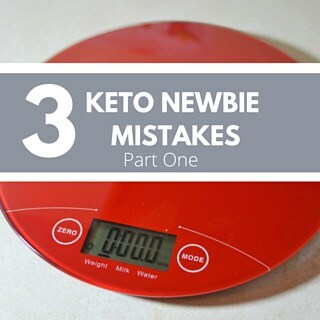 Keep an eye out for my part 2 Keto Newbie Mistakes where I discuss tricky carbs, and if fat bombs are really helping you out! Hey! This is such an excellent post. hi I’m Jess from Findyourfood.org. 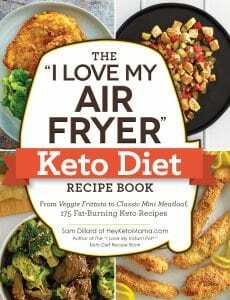 I’m keto all the way and work alot with newbies on a few Fb pages. You have a great way with words and explanations! Can’t wait to see the next installment of this theme. I’m going to send some newbies your way and post a link to this on our page. I’ve been Keto almost 16 months, lost 80lbs. I work in the Fitness Industry and as of 2016 have begun a popular blog on finding your food as well as taking on clients. I take a step by step approach and often start people out on Whole30 to eliminate problematic foods and restore order and then slowly move them on towards keto, or I just start them on Keto…People are blow away at weight loss, eating fats, diminished appetite, energy and butter!!! Would love to get more connected! What I’m doing is a God thing…totally led into this arena. Working with a lot of people who feel God want them to fix this area of their lives…things are coming and I need to be read. Hi Jess, Thanks so much for your kind words and linking us! Losing 80 pounds is no easy feat- congrats to you! It’s so great that you’re helping others reach their goals and transform their lives in such an important way. I’m hoping to be a source of inspiration for those starting and to help realize that you don’t need to be a skilled chef or exercise 5 hours a day to achieve your goals- and I want people to fall in love with the process along the way. I’ve checked out your blog a bit and look forward to browsing more! Good job Jess of linking hands with the hopes of even greater success for your clients.